James Milner is the consummate professional. That much has never, ever been in doubt. The German moved Milner around the midfield, before installing him as our left-back at the beginning of this season. In fairness, considering he’s most naturally a right-winger and started his career as a striker, he’s done fantastically. Without a left foot, Milner’s been reliable and rightly kept Spanish international Alberto Moreno out of the side – and is likely to keep his spot even after this upcoming summer transfer window. The position hasn’t come naturally to our vice-captain though and it’s clear he’d rather play elsewhere. He told Sky Sports: “It’s the first time I’ve played it in the Premier League and it’s not like getting to learn it on a Sunday with your mates. “It’s a big change but I’ve always tried to learn throughout my career and I’ve played a lot of positions anyway, so it’s just trying to do the job as well as you can. But it’s about whatever is best for the team. “Ultimately I just want to be out there playing games and contributing. I haven’t gone to [Klopp]. “He knows how I feel and asked me at the start of the season about my thoughts. I believe that once you’ve committed to something and made a decision you stick to it and do your best. 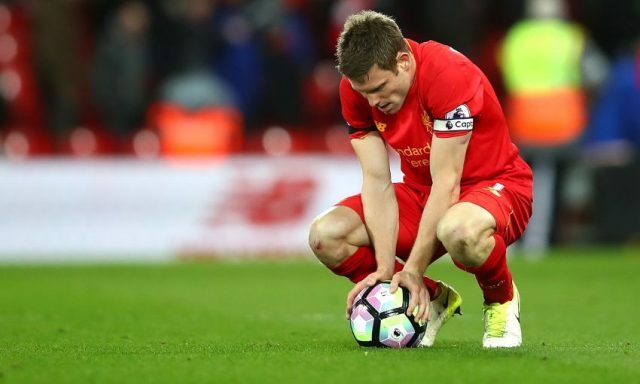 Why is nobody talking about key Liverpool player potentially leaving this summer?